Landing convoy equipment is hooked up to a space shuttle on the runway of Kennedy Space Center's Shuttle Landing Facility just before sunrise. About above Video: Atlantis and the STS-135 crew touched down at NASA's Kennedy Space Center in Florida just before dawn on July 21st, 2011, wrapping up the final mission of the 30-year Space Shuttle Program. Space Shuttle Atlantis’ wakeup song for landing day was “God Bless America” by Kate Smith, played at 8:29pm CDT, for the entire crew and all the men and women who have worked for the shuttle program over the years. 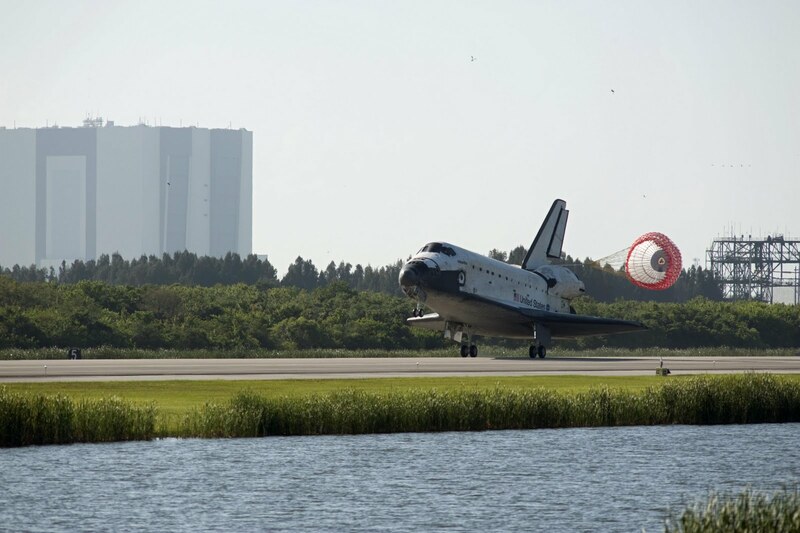 Commander Chris Ferguson, Pilot Doug Hurley and Mission Specialists Sandy Magnus and Rex Walheim will begin deorbit preparations a little before 12:00am CDT for their planned landing at 4:56am CDT at NASA’s Kennedy Space Center in Florida. About above image: Space Shuttle Atlantis lands for the final time at NASA’s Kennedy Space Center in Florida. 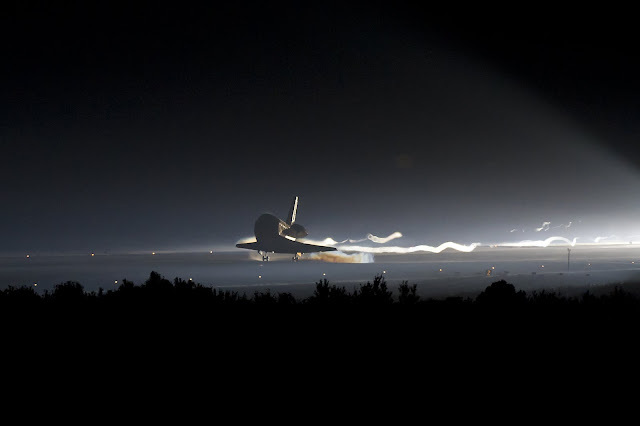 At 4:57 a.m. CDT, space shuttle Atlantis landed for the final time at NASA’s Kennedy Space Center after 200 orbits around Earth and a journey of 5,284,862 miles on STS-135. It was the 25th night landing, the 78th landing at Kennedy and the133rd landing in shuttle history. 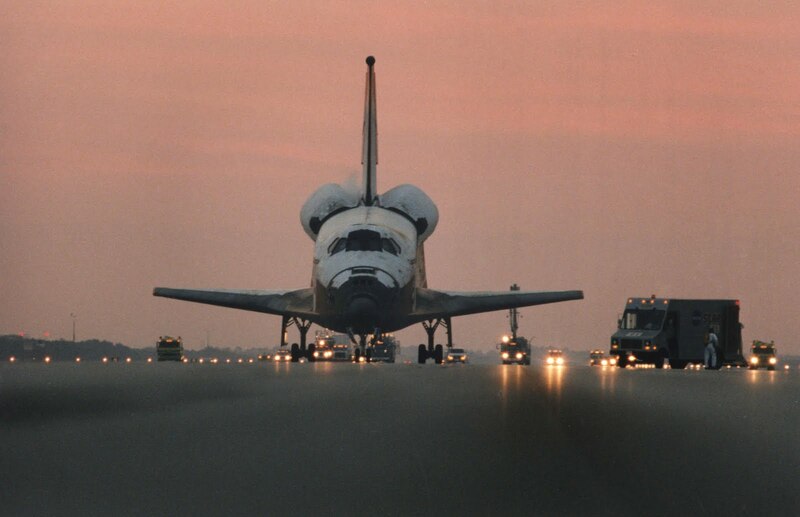 Atlantis’ main gear touched down at 4:57:00 a.m. followed by the nose gear at 4:57:20 and wheels stop at 4:57:54 a.m. At wheels stop, the mission elapsed time was 12 days, 18 hours, 28 minutes and 50 seconds. A post-landing news conference at Kennedy is planned for 10 a.m. on NASA TV and http://www.nasa.gov/ntv. The participants will be Bill Gerstenmaier, associate administrator for Space Operations, Bob Cabana, Kennedy center director, Mike Moses, space shuttle launch integration manager, and Mike Leinbach, space shuttle launch director. 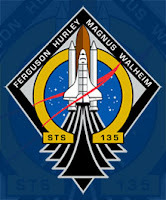 STS-135 was the 33rd and final flight for Atlantis, which spent 307 days in space, orbited Earth 4,848 times and traveled 125,935,769 miles. WELCOME HOME - One last Time! Image above: Space Shuttle Atlantis... As seen from the International Space Station shortly after undocking earlier today, Tuesday, July 19th. I’ll be posting a new post this Wednesday evening on all the info about the upcoming landing... So be sure to check back! 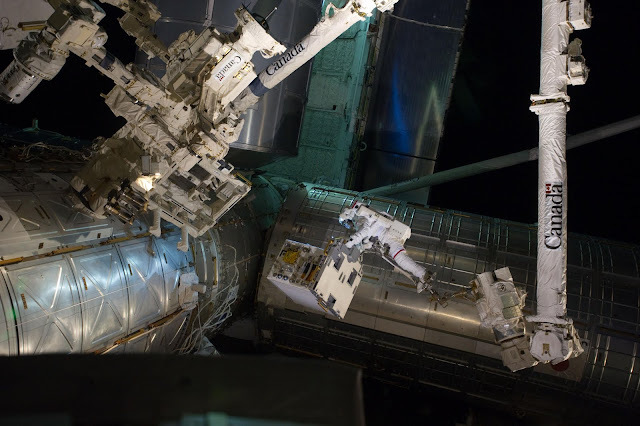 Spacewalker Mike Fossum rides on the International Space Station's robotic arm as he carries the Robotic Refueling Mission experiment. This was the final scheduled spacewalk EVER during a shuttle mission. 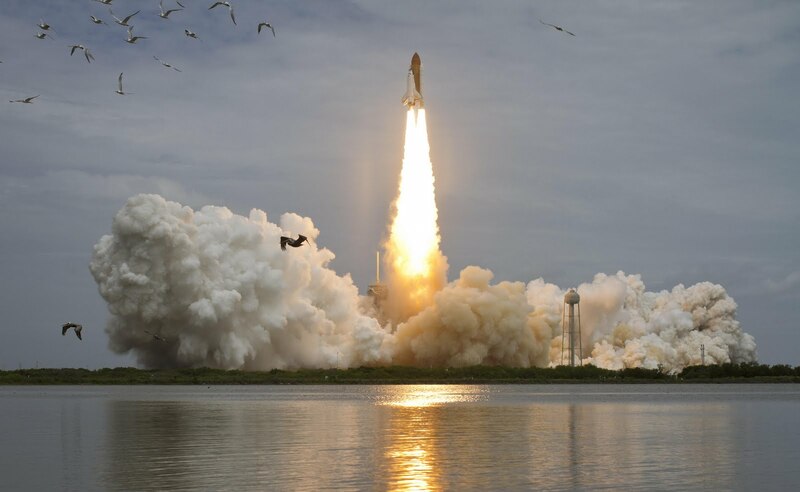 Space Shuttle Atlantis launches into history at 10:29am CDT from Launch Pad 39A at NASA's Kennedy Space Center in Florida... 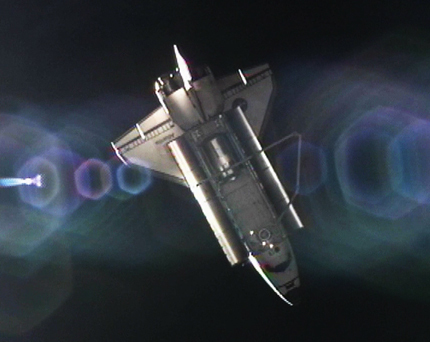 Aboard are only four astronauts for this final mission of the Space Shuttle Program. They are: Commander Chris Ferguson, Pilot Doug Hurley and Mission Specialists Sandy Magnus and Rex Walheim. Their mission in part is delivering the Raffaello multi-purpose logistics module packed with supplies and spare parts to the orbiting outpost, the International Space Station. More to come, so check back! Weather Permitting though... We still might get her up! 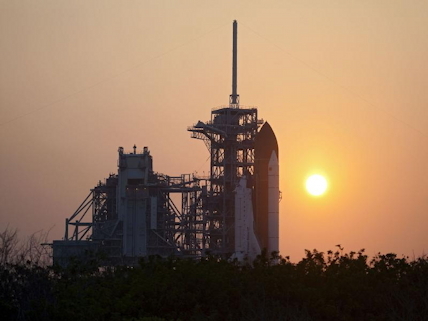 At 5 p.m. EDT, the countdown entered a planned hold at the T-19 hour mark and will resume at 9 p.m.
"We had a really smooth Mission Management Team meeting today," said Moses. "The vehicle is in fantastic shape." In regard to the launch-day weather forecast, he added, "Before we go load the propellants into the tank we'll take a look at the weather and make sure it's really a good day to try that, and so at that point we'll be making a decision." "We have a tropical wave that's out in the Caribbean," explained Winters. "That wave is actually going to come into Florida along with a lot of tropical moisture that's down to the south, and it's all going to roll into Florida in the next couple of days." Based on these conditions, Winters predicted an 80 percent chance of weather preventing tanking operations, with a 70 percent chance of it standing in the way of launch at 11:26 a.m. EDT on Friday. The forecast for the following days improves to 60 percent no-go on Saturday and 40 percent on Sunday. With all four astronauts aboard space shuttle Atlantis, the Close Out Crew sealed the hatch for flight and is verifying the integrity of the seal before breaking down the White Room and departing the launch pad. Weather still is 30 percent "go" and while weather remains dynamic, Launch Director Mike Leinbach told the launch team earlier, "We do have a shot at this today." Weather across Kennedy Space Center is observed "go," and hopefully conditions will remain that way for the next 40 minutes or so -- long enough for space shuttle Atlantis and a crew of four astronauts to launch on the STS-135 mission. "We are cautiously optimistic we will be 'go' for launch at 11:26am," [EDT] said NASA Launch Commentator George Diller. Into Space for last time! 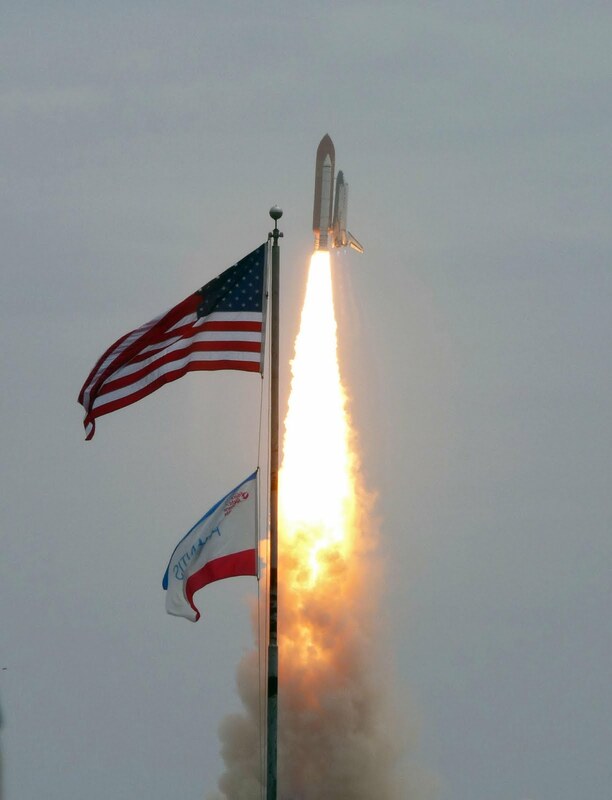 Final thought this morning... WHAT a beautiful, final launch it was... It was as if god was watching over the crew and mission, keeping them safe and all on GO, for such a wonderful, final Launch. 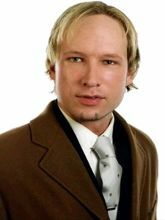 Please keep up with the latest from Space and NASA at links below. NOTE: I’ll be updating on the mission and spacewalk over the next so many days so check back!